Branding, website, and promotion materials design for documentary film studio and their latest project. 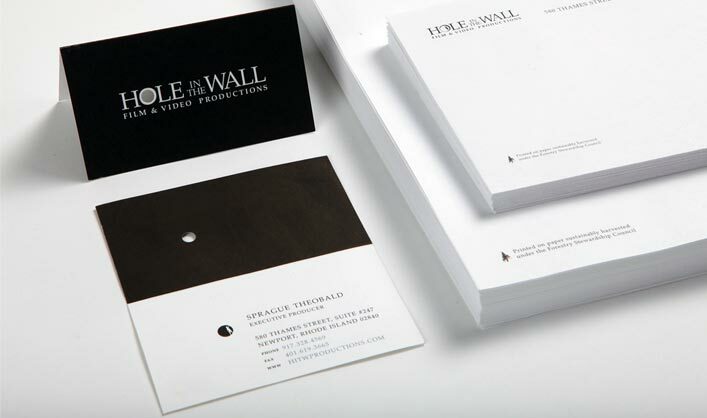 Award-winning corporate identity, marketing materials and website presence. Branding and 3-D promotional material for documentary film. Hole in the Wall Productions (HITW) is a documentary film studio that explores the globe to collect and share meaningful stories through the art of film. Before beginning their highest profile documentary film, they hired Rubic to create a new brand identity system and website presence for the studio, HITW knew their next film would be big and they wanted a meaningful and visually stunning brand to position themselves as an established group of media artists and explorers. Brand identity design began with discovery sessions and storyboards. We created a two-dimensional logo and branding based on the concept of the "Looking Glass" -- since the filmmaker's aim was to capture stories from exotic places and bring them home to their audience to revel in. HITW is a film studio, so we also needed to create an animated sequence for the logo -- otherwise known as the "stinger". Juggling requirements and ideas for two-dimensional and animated branding, Rubic created a concept and sequence where the final frames resolved into the static, two-dimensional logo mark. We then extended the new brand into a Drupal-powered website and other promotional materials. Using Drupal’s Content Management System (CMS) we created a website allowing the client to publish new film projects, blogs, videos, news and press, photo galleries, maps and people. In addition to news about the filmmakers and their projects, interactive maps engage and interact with viewers encouraging them to follow or sign-up for announcements about upcoming screenings and events. Rubic created film branding, posters and a website for HITW's political and environmentally focused film, The Northwest Passage, which was chosen for an award and publication in a recent collection of work, Designing For the Greater Good. Other design work included full-size movie posters, graphical slides and email marketing to promote a speaking tour.